For allergy sufferers, spring is a painful period that will start as soon as flowering. 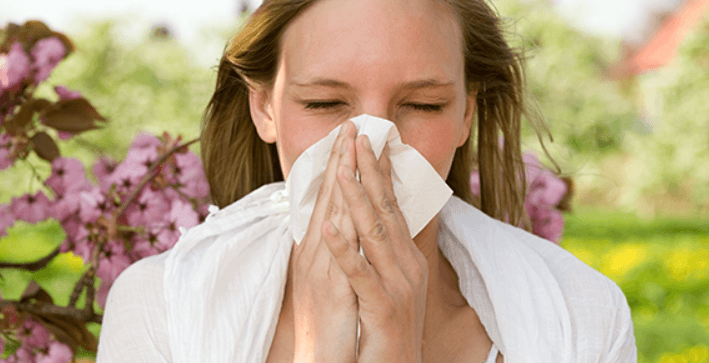 The body can not adapt to environmental changes often cause seasonal allergies. Cluttered nose, sneezing and permanent blotches, red and watery eyes, wheezing and difficulty breathing, headaches, insomnia, fatigue, itching, eczema and low morale will be their daily lot for several months. According to a study, About 50 million people in the United States suffer from allergic rhinitis each year. What are the Most Common Causes of Allergies? Why Can Essential Oils Help Fight Against Allergies? Allergies are abnormal and overreactions of the immune system caused by contact with the body’s usual foreign substances. A substance that triggers an immune response is called an antigen, and it is also called an allergen in the case of an allergy. Allergies are a way for our bodies to protect themselves. When allergens come into our body and contact with the immune system, the body may think the allergen is a threat. This will trigger the white blood cells to release histamine to protect the body from further attacks. There are many factors that cause allergic reactions. Common allergy types include seasonal allergies, skin allergies, and food allergies. Allergies can cause sneezing, runny nose, tearing, vomiting, nausea, headaches, impaired vision, dizziness, shortness of breath or even breathlessness. Environment-Due to modern industry, we live in a more polluted environment than before. Pollution can affect the body and cause respiratory allergies. Habitat- As the population grows, our families get smaller and smaller and stay away from nature. Most of the materials that make up our furniture and decoration are no longer natural. Food, medicine and consumer product-The composition of our diet have changed a lot. We eat less natural foods and more industrial and refined foods, containing flavor enhancers, dyes, preservatives, etc. These are not always suitable for our body. Drugs and daily necessities such as soaps or creams may also contain sensitizing substances that are not suitable for our skin. Heredity- Children with allergic parents are more likely to have allergies. Essential oils are natural substances made in specialized cells of aromatic plants. Some of them are known for their antiallergic properties, such as tarragon essential oil or Roman chamomile. Essential oils are also known to strengthen the body’s resistance and immunity, and thus restore the body’s physiological self-defense functions. Essential oils are a natural, cheap, safe way to remove allergy symptoms. They can effectively help our bodies improve their ability to overcome allergies. This article discusses how to use essential oils to get rid of allergies fast. Some people may have severe allergy symptoms that can be amplified by viruses, hormonal changes, stress. If the allergy is not treated in time aggravations can be noted such as chronic allergy, repetitive headaches. Stomachaches and vomiting may also be due to ingestion of pollen. Food allergies are a dangerous allergic reaction to foods or additives. It is estimated that about one-quarter of people have an allergic reaction to food throughout their lifetime, especially in the early childhood. The causes of food allergies are the over-reaction of the body’s immune system. When your body feels that certain foods may be harmful, it can easily trigger an immune system reaction to protect themselves. A lot of reasons such as poison ivy, bug bites, chemical products and some foods can lead to the allergic reaction on the skin. The common symptoms of skin Allergies are itching, redness, burning sensation, and swelling. These symptoms may go away on their own in 1-2 weeks without treatment. However, The itches from skin Allergies can be very uncomfortable. Eczema and hives are the two most common skin rashes associated with allergies. Peppermint oil is the best essential oils for skin rash treatment. It has anti-inflammatory, antiseptic, analgesic and cooling properties which can help relieve the itching and discomfort on the skin. Moreover, It can help get rid of some digestive and respiratory problems. With the use of this essential oil, you can breathe easier, feel relieved and breathe easily. It is a pain reliever, an antiseptic, anti-inflammatory, and works well for many skin conditions that cause itching and discomfort. Peppermint oil also works for varicose veins, ringworm, and irritations caused by poison ivy or poison oak. Place peppermint essential oil on your neck when you wake up in the morning. Make sure that your skin will not be irritated in the process. Only place it on a small patch of your skin beforehand. You can place it again at night or when you are undergoing an allergic reaction. You can also use peppermint oil together with a carrier oil near your nostrils. This will be effective in providing instant relief especially if you are having trouble breathing. You can also add some drops of peppermint oil to the bathtub filled with water. Soak yourself for 1-2 hours before you go to bed. Eucalyptus oil is another useful essential oil for food allergies. It contains citronellal which has anti-inflammatory and analgesic properties which can be used as an expectorant to clean toxins in the respiratory tract. Eucalyptus oil can help decongests the nasal cavity and improves breathing. It can also calm the pressure exerted by the inflammation of the sinuses. 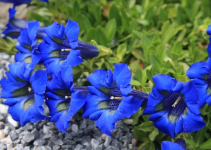 In addition, It is a natural expectorant with a very pleasant and invigorating smell. 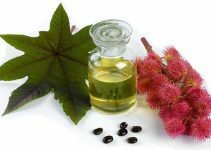 Mix eucalyptus with any carrier oil. Make sure that you will mix thoroughly. Do not use eucalyptus alone since this can irritate parts of your skin. Place on the neck, chest and back area and wait for your allergy symptoms to start diminishing. If you would like to place it directly on your skin, you can also inhale eucalyptus oil if you would place it in boiling water. Breathe in the steam but make sure to do this in moderation. Alternatively, you can apply 1–2 drops of Eucalyptus oil directly to your temples, this can help get rid of food allergies. Lemon Essential Oil can help reduce the symptoms of allergic rhinitis. It can help calm coughs and reduce nasal mucus. It can also help the body get rid of toxins and reduce the inflammatory response to allergens. It is an antiseptic and a bactericide. It also has an anti-stress effect and positively affects the mood. Mix in lavender essential oil(Lavandula angustifolia) with lavender oil and peppermint oil. Gargle the essential oils on the base of the mouth before swallowing. Do this whenever you have an allergic reaction. You can also place lemon oil topically as long as you have carrier oil that you can mix it with before rubbing on your neck, nostril area and back. Note: This oil is not recommended for pregnant women, breastfeeding, and children under 7 years. In addition, it should not be used by people undergoing anticoagulant therapy, people undergoing surgery and hemophiliacs because it is a blood thinner. It is also photosensitizing. Lavender has natural antihistamine properties that are very helpful for your allergic reaction. It can also have a calming and soothing effect on your body. You can use it at night since it can help you sleep better. Use a few drops of lavender oil and apply it on your forehead, your sinuses, and even your cheeks to stop possible inflammation because of allergies. You can also diffuse lavender oil. Again, make sure that you will do it before you go to sleep at night. One tip to remember is if you need to bring it with you when you go out, you can place a cotton ball dipped in lavender oil and place it in a Ziploc. Frankincense has a lot of medical benefits that can be very helpful for allergies. Aside from that, it can also be helpful to treat cuts and burns. Mix frankincense oil with a carrier oil and this can be placed on the back of the neck area, at the back and on the chest area. You can do this every time you have a hard breathing. Tea tree oil is another effective method to get rid of skin rashes and hives. The antifungal, antiviral, and antibacterial properties of the tea tree oil can help kill bacteria, molds, and fungi in the atmosphere of the house. It can reduce bronchial congestion, reduces mucus and calms coughs. In application on the skin diluted in a vegetable oil, it calms atopic dermatitis and allergic eczema. 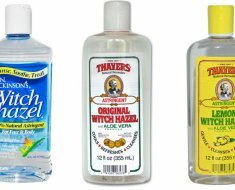 In addition, Tea tree oil also can be used to treat ringworm, acne, toenail fungus and other skin problems. Dilute 2–3 drops of tea tree oil with coconut oil first. soak a cotton ball in the oil and apply it to the affected area. You can also apply it to the liver area, this can help the liver to flush out toxins. Geranium oil can help soothe itches from skin allergies especially from bug bites. It has anti-inflammatory properties that can relieve the inflamed on the skin and boost the regeneration of new cells. Add 2–3 drops of Geranium oil to a cotton ball. Repeat this process 2-3 times every day. Chamomile can help soothes the airways, relieves headaches and acts against bacterial infections. It can also help relieve the swelling and itching associated with eczema. Chamomile oil is an effective anti-inflammatory that can be used to treat sinusitis and inflammation of the mucous membranes. The food intolerances are frequently confused with the symptoms of food allergy. They are interrelated, but there is a clear distinction between them. The food intolerance refers to the reaction of the human digestive system to unpleasant food, which produces a non-immunological reaction. For example, you may have digestive problems after drinking milk because your body cannot digest sugar and lactose. This is called food intolerance. Unlike food intolerance, allergies will produce an immune mechanism after eating allergens. Common food intolerances include gluten, A1 casein, lactose, dried fruit, canned food and food additives. Even though essential oils are natural compounds, you should use them carefully and try to choose organic oil. Never apply it directly to the skin, you should dilute it in vegetable oils. Pregnant women and young children should not use essential oils. You’d better seek advice from a specialist before using essential oils, especially if you suffer from allergies. Good answer back in return of this question with real arguments and describing the whole thing about that.